Hawaii is a paradise on many levels, and it’s no exception when it comes to birding. The Hawaii Island Festival of Birds, held on October 24 - 28, 2019, known as Ha’akula Manu, offers the perfect opportunity to experience the island’s avian diversity while helping to support the conservation efforts of the Hawaii Wildlife Center and the Hawaii Island Coast to Coast Birding Trail. If you’re looking for great Hawaiian island events, consider this unique ecological tour! The HWC is a non-profit regional organization dedicated to preserving and rehabilitating Hawaii's unique wildlife population. The center conducts research and provides critical training for disaster response and wildlife recovery. Its public outreach and education programs are central to promoting its mission to create a sustainable environment in which native species thrive. 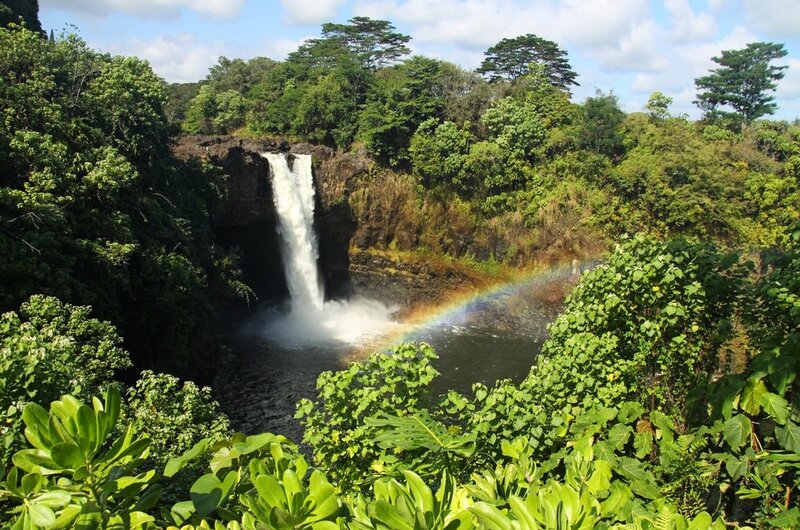 This 90-mile driving trail, spanning across a variety of different environments, is the ultimate experience in Big Island nature. A microcosm of many climates, the trail traverses both desert and rainforest and ascends nearly 7,000 feet before it concludes. You will see an amazing assortment of wild birds, from shorebirds to honeycreepers, and be treated to the incredible views one can only find in Hawaii. Everyone with a passion for birds is invited to take part in Ha’akula Manu! One of the best Hawaii island events, the festival is great for birding tour groups and locals who want to learn more about the avian life that shares the islands with them, or for tourists from afar that want a unique ecological experience during their Big Island vacation. Guided group tours are available by reservation and recommended to maximize your birding experience. If a tour group does not appeal to you, however, you are welcome to complete the drive with your own vehicle. Find your route on the trail website at www.hawaiibirdingtrails.com. *You will receive a confirmation email after scheduling any tours. Please note that there are no refunds within forty-five days due to limited space, but tickets are transferable. While weather conditions in Kona are pretty close to ideal most of the time, you will want to wear light layers or bring rain gear, as some tours extend into higher elevations with a possibility of precipitation any time. The offshore pelagic seabird tours are dependent on ocean conditions. Be aware that there is a possibility that ocean tours may have to be refunded or exchanged for an alternate land tour if the weather does not cooperate. Volunteers are an essential part of the bird festival! If interested in joining in, contact the bird festival coordinators directly at info@birdfesthawaii.org. Be still and quiet and keep a distance from wildlife - Keep cell phones off and chatter to a minimum. When left undisturbed, birds become much more visible. Be prepared - Make sure that you bring water, sunscreen, and appropriate clothing to keep yourself safe in a changing outdoor environment. Big Island Hawaii nature is beautiful but unpredictable. Tread lightly on the trail - Park only where directed, and never take your vehicle “off-road” to obtain a better view. Avoid trespassing on private property and remember to pack out any garbage or belongings before leaving the area. Always respect the vulnerable nature of the Hawaiian ecosystem by following local laws and regulations and “leave no trace” hiking practices. Don’t forget to take lots of pictures of this incredible Big Island Experience!